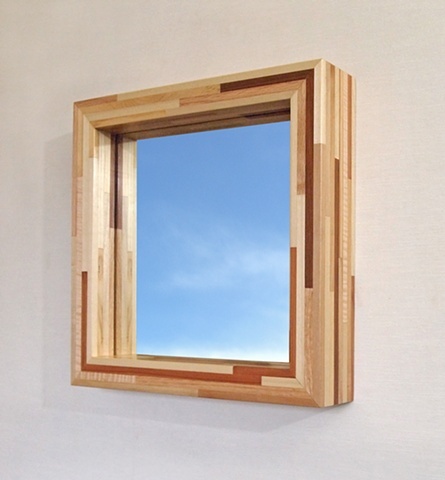 14" X 14" X 3"
This handmade modern mirror frame is made with primarily scrap and salvaged wood strips applied to a MDF core with no urea-formaldehyde binders. It measures 14" square and has a gel urethane topcoat that is hand finished with wax. Custom sizes are available.